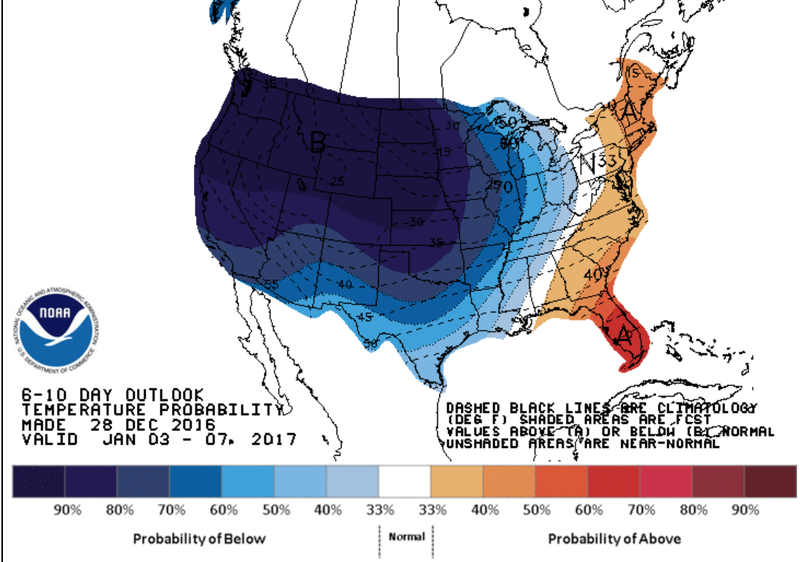 Here is the forecast for January 3 to 7, 2017. Very cold and, in some areas, very snowy! 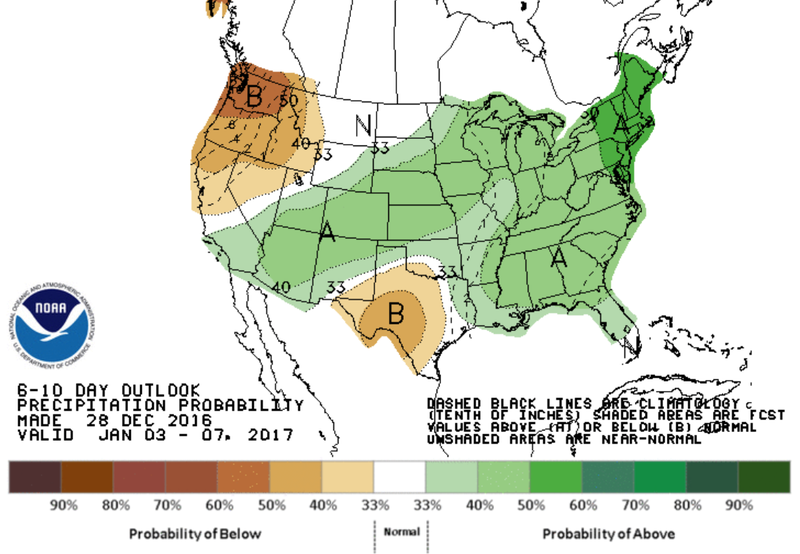 Don't these charts just indicate probability of above/below/at climatological norms? They don't indicate actual deviation from those norms. So your headline is somewhat misleading. A large part of the country has a great chance of colder than normal weather, but that does not mean the 2nd coming of the ice age. You are correct in the technical sense, but it will be very cold over most of the darkest blue area.